A group of bar and restaurant owners in Gurgaon's upscale Cyber Hub raised a quiet toast together on the evening of May 4. Earlier in the day, the excise department of Gurgaon lifted the 35-day ban on sale of liquor in 32 of the 36 pubs, bars and restaurants in the complex after various entry and exit points were tweaked to meet the Supreme Court guidelines. The apex court had on April 1 imposed a ban on sale of liquor within 500 metre of any highway in the country. The toast was more out of relief than anything else. Cyber Hub, which has become the go-to hangout place in the Delhi-NCR region in the last two years, is located bang on National Highway 8 that connects Delhi to Jaipur. Most shops in the complex, including those not serving alcohol and hence not directly impacted by the ban, suffered a 30-50 per cent drop in business over the last one month as footfalls declined sharply. The crowds should be back now. "The crowd is thin today as people don't know. But the weekend begins tomorrow and we will tell the world we are back in business,"says Ashish Dev Kapur of The Wine Company. Other pubs, bars and liquor shops around the country may not be as lucky. The order is estimated to have impacted nearly 42 per cent, or 26,800 liquor shops and vends in India. Even hotels and restaurants around the highways are suffering. According to research agency CRISIL, it has affected at least 25-30 per cent of premium hotels located along the main highways in the country's top 12 cities. These are only conservative estimates. The impact on the country's domestic liquor industry as also state governments, which rely heavily on excise from sale of alcohol for revenue, will be substantial. "Tourism creates jobs. Why kill it?," tweeted Amitabh Kant, CEO, Niti Aayog. "Supreme Court's highway liquor ban verdict may hit one million jobs." Liquor is a big revenue earner for most states - estimates suggest it accounts for between 25 and 40 per cent of a state's revenue - and any fall in consumption would have repercussions for their economy. Unsurprisingly, some states have already started denotifying highways to circumvent the apex court's order. Himachal Pradesh, for example, denotified 16 national highways in the state as major district roads. Even then, there will be an impact on business. "Some state governments have taken steps by denotifying highways, but I do not think it can be completely normalised. 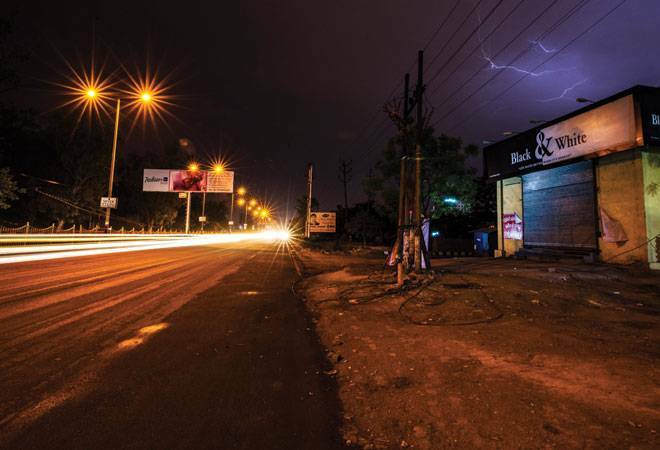 Almost 30,000 shops have been impacted, and in Maharashtra alone, 300 outlets are shut," says Deepak Roy, Executive Vice Chairman, Allied Blenders and Distillers India. "It has disrupted our entire business at a time when we were just recovering from the effects of demonetisation. It has driven the retail trade underground." It's a serious challenge and will have repercussions, asserts Kapil Sekhri, Managing Director, Fratelli Wines. "We wanted to draw up more aggressive plans for expansion of our business but it's all on the back-burner now. Banks have started calling us as there is a general negativity around this sector. We were talking of some joint ventures and they have gone into cold storage." The ban has hit the fortunes of even the well spread out multi-national companies as well. Danish brewer Carlsberg reported a contraction in volumes in its Asian operations in January-March 2017, because of the ban in India. If not for the SC ruling, Carlsberg would have grown by at least 2 per cent. Its volumes in India declined almost 20 per cent during the period. "Despite a good start in all the other countries, in India, because of the implication of the highway ban, we had a negative double-digit volume decline," said Cees't Hart, CEO, Carlsberg at an investor call. The Supreme Court ban, however, is just one of a series of challenges that the industry has faced in recent times. Increasing number of cases of alcohol abuse has raised the decibel level of the clamour for prohibition in states, which political parties are only too happy to exploit. According to the National Crime Records Bureau statistics, around 15 people died everyday in 2013 due to alcohol abuse, while a far greater number, mostly women from lower income strata, are victims of it. For long prohibition has been used as a tool to curb this menace, but the dependence on revenue from alcohol for most states is such that, barring Gujarat, not many have been able to stick to it. Yet, local political parties, often bereft of ideas to lure voters, increasingly resort to prohibition in states as an electoral plank. In August 2014, erstwhile Kerala Chief Minister Oommen Chandy pulled a rabbit out of his hat by proposing complete prohibition in the state. Kerala had then one of the highest per capita liquor consumption in India. It was later modified to restricting sale of Indian-made foreign liquor (IMFL) to only five-star hotels, while existing liquor vends were allowed to turn into wine and beer shops. Other states soon latched on to the idea. None more famously than Bihar Chief Minister Nitish Kumar who promised a total ban on the sale of alcohol in the state before elections in 2015. The ploy worked and he duly kept his promise after returning to power. It is a familiar story in Tamil Nadu, which ironically is more dependent on liquor revenues than any other state in the country. The opposition led by DMK raked up the issue in the run-up to the elections in 2016, promising to implement prohibition at one go if it came to power. The then ruling AIADMK party supremo and former Chief Minister J. Jayalalithaa countered by proposing phased prohibition. After returning to power, she promptly shut down 500 of the 6,800 liquor shops in the state. "Prohibition solves no purpose," says Abanti Sankaranarayanan, Chief Strategy and Corporate Affairs Officer, United Spirits Ltd. "But it brings unpredictability in business. Bihar is the most flagrant example. The aftermath was that as an industry we were stuck with stocks worth approximately `800 crore sitting in the marketplace." Complaints about the tendency of governments to paint the entire industry with the same brush are widespread and the organised sector blames the genuine problems to the ill effects of consumption of non-regulated country liquor. "In certain states there are women's groups that are concerned with this issue and we have to admit there is a problem somewhere," says Amrit Kiran Singh, Chairman, International Spirits and Wines Association of India. "The real issue may be with those consuming country liquor but the world sees us as one. Prohibition is not a fundamentally strong solution and it will self-destruct. Look at Gujarat, it has had prohibition forever but is known as the wettest dry state in India." In the bigger scheme of things, Bihar - with a 2 per cent share of India's total alcohol consumption - is an aberration the industry can easily digest. But it is a cruel joke on those with distilleries and breweries in the state. 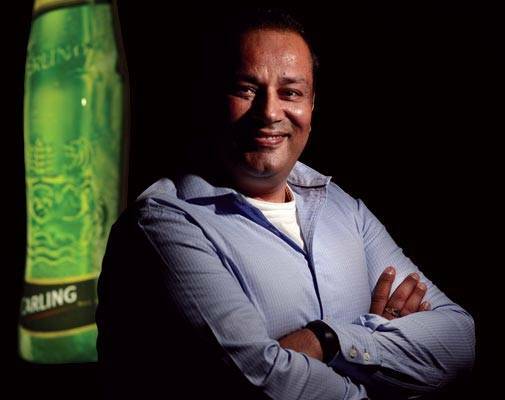 "It is like me inviting you to my place for dinner and when you land up, I say sorry but I cannot let you in and I will not even tell you why," says Michael Jensen, Managing Director, Carlsberg India. The company's brewery in Patna, inaugurated in 2014, is now "very idle". Or for that matter, United Breweries, which had invested over Rs 100 crore to set up a brewery in the state in 2015. Similarly, Molson Coors had invested Rs 150 crore to upgrade the brewery it got when it acquired the King Cobra brand in mid-2011. These investments have all gone down the drain. Fears of the Nitish Kumar model of prohibition being replicated by political parties in other election-bound states, is making the industry nervous. Recently, Madhya Pradesh Chief Minister Shivraj Singh Chouhan said all liquor shops in the state would be shut down in phases, starting with the closure of shops within a radius of five kilometres of the Narmada river, considered the life line of the state. Even though, like Bihar, Madhya Pradesh is not a big consumer of alcohol, the fact that Chouhan belongs to the ruling Bharatiya Janata Party has unnerved the industry. 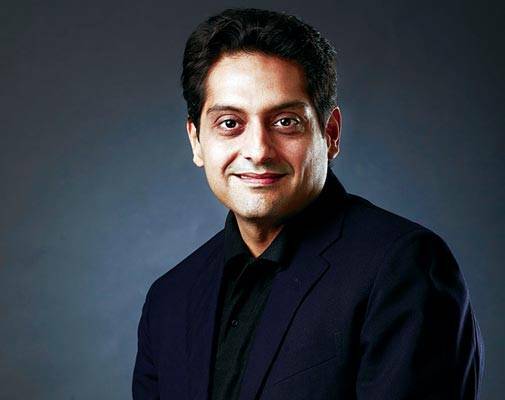 "Beer is the softest target among the three categories affected by the decision as most state governments look at country liquor as the single largest revenue generator," says Ashish Kapoor, President, Molson Coors. "Ideally, one should tax drinks with higher alcohol content more and beer/wine would benefit from that. But nobody is actually looking at that because beer is just 15 per cent of the overall revenue kitty." Faced with the SC order that has crippled its business while grappling with prohibition, the spirits are quite low in the domestic liquor industry.